I saved a frog’s life but I didn’t have time to think about it. 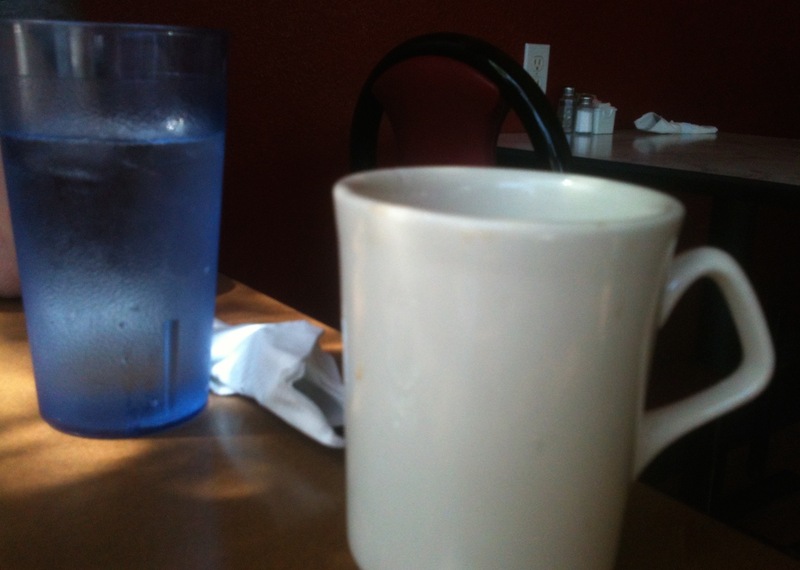 As soon as I delivered it to a white bucket to await transport to the wetlands, I was off in search of another frog hopping on wet pavement towards a certain demise that awaited if she found her way to Highway 30. An initial orientation meeting at the Linnton Community Center about volunteering to rescue frogs was an eye opener. 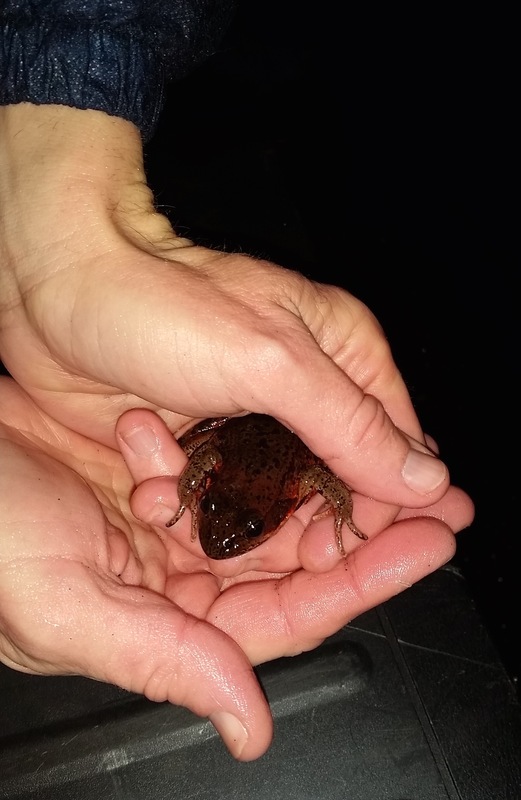 I was introduced to the plight of the Northern red-legged frogs who need to get to the wetlands from the hills past Linnton, specifically in the area of Harborton Road. The barrier is four lanes of treacherous highway. Years ago after discovering that frogs were unable to reach the wetlands safely, a group organized volunteer crews to help save them. They now meet seven days a week in the evening during the migration season which generally runs from December to March. The conditions for frog migration have to be just right. Frogs head to the wetlands for mating and egg laying on rainy nights when the temperature is above 45 degrees. My wife, Ronna and I signed on to volunteer for the Friday night shift. We waited seven weeks until conditions were right. 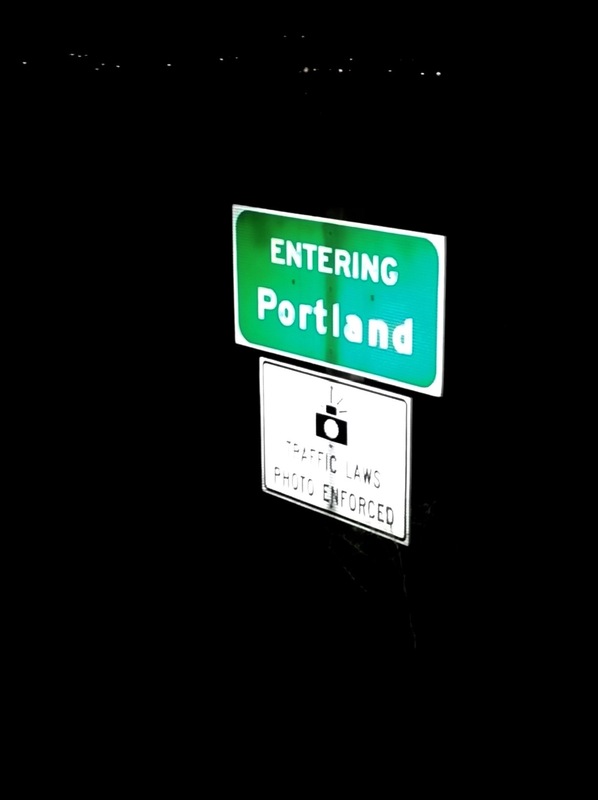 On a rainy night in February we headed to Harborton Road which runs up a hill off the highway on the outskirts of Portland. A red-legged frog in the spotlight. 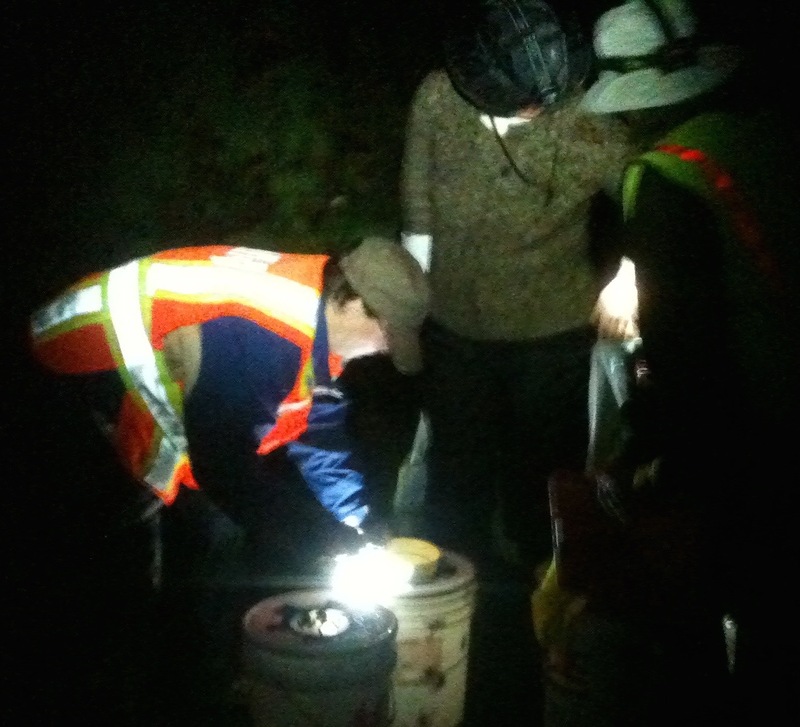 That night I spent a couple of hours getting rained on and scanning the asphalt with a head lamp looking for frogs. 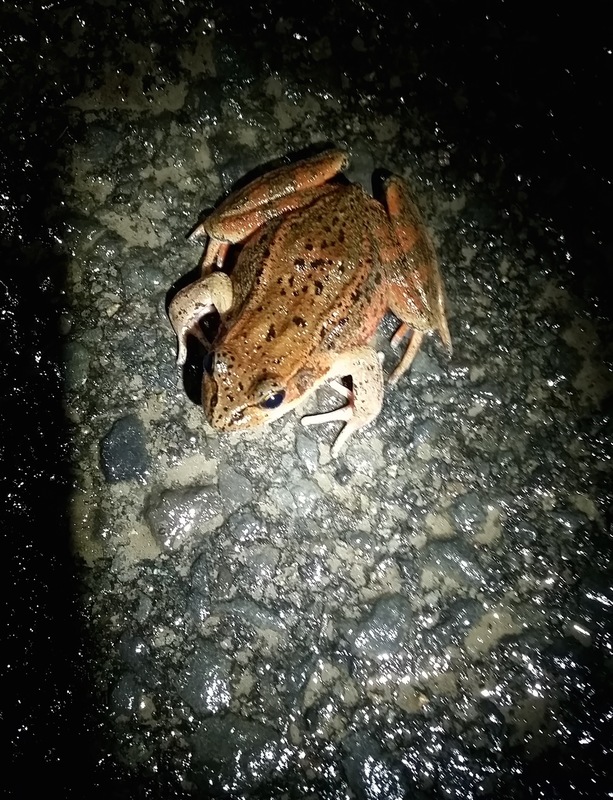 Proper rain gear kept me reasonably dry as I spotted these amphibians out of the corner of my eye moving towards the highway. Others resembled stones when they sat motionless. This was usually the smaller Chorus frogs who got in on the free rides to the wetlands by having to cross the same road around the same times as the red-legged frogs. Catching frogs wasn’t too hard. I figured out how to scoop them up and quickly became a kind of biologist short stop. It was a matter of getting in front of them, getting a hand under their heads and grabbing them as they hopped into my hands. Other frogs would freeze if they were blinded by the light which made them easy pickings. The tricky part was holding on to them while transferring them to the white transport buckets. 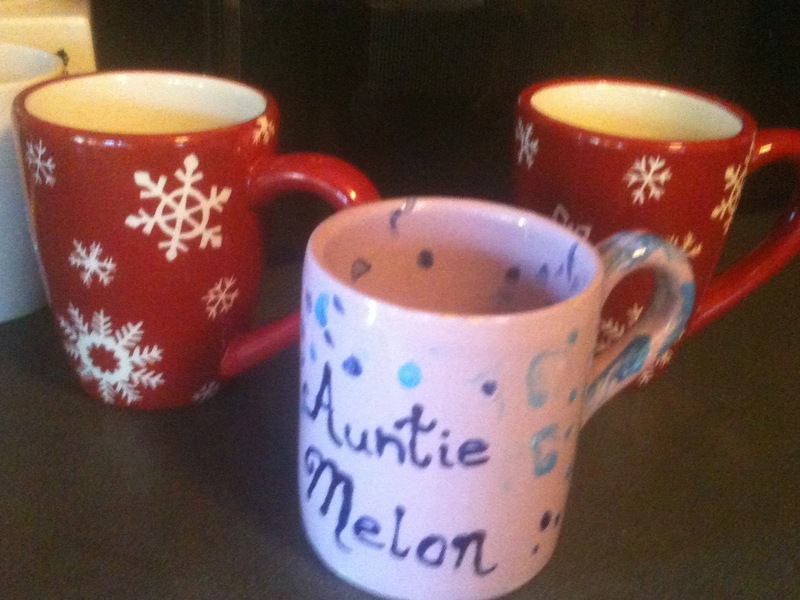 They had a powerful kick and would get squirmy. Busting out of the bucket into the wetlands. Volunteers installed silt fencing running up the road along the guard rails to keep frogs from heading toward the highway. Frogs spilled into the base of Harborton road, a wider section at the bottom of the hill. There they had open access to Highway 30. Through rain splashed glasses a few frogs got close to having to contend with screaming automobiles barreling down 30, but they never got far enough where they couldn’t be rescued. One frog slipped by me and ended up well into the road. I resigned myself to sheer fate hoping nothing would happen until the road was clear enough and I could get to this imperiled frog. I faced an existential-zen conundrum of sorts, considering whether a frog’s life was more valuable than that of a human. I didn’t consider this for long realizing that an attempted frog rescue during oncoming traffic would have killed us both. Besides it’s not like frog volunteers are given training like the secret soldiers of Benghazi. I held my breath and waited for the coast to clear. The intensity ramped up when a pick up truck drove down Harborton Road and was about to turn into the lane where the now immobile frog sat. As soon as the truck turned traffic died down and I dashed into the road to get the frog who emerged from the misadventure unscathed. After egg laying and mating is finished in the wetlands, frogs need support getting back to their homes in the hills. Silt fencing helps corral them in that area too allowing volunteers to find and deliver them for release back into the hills. 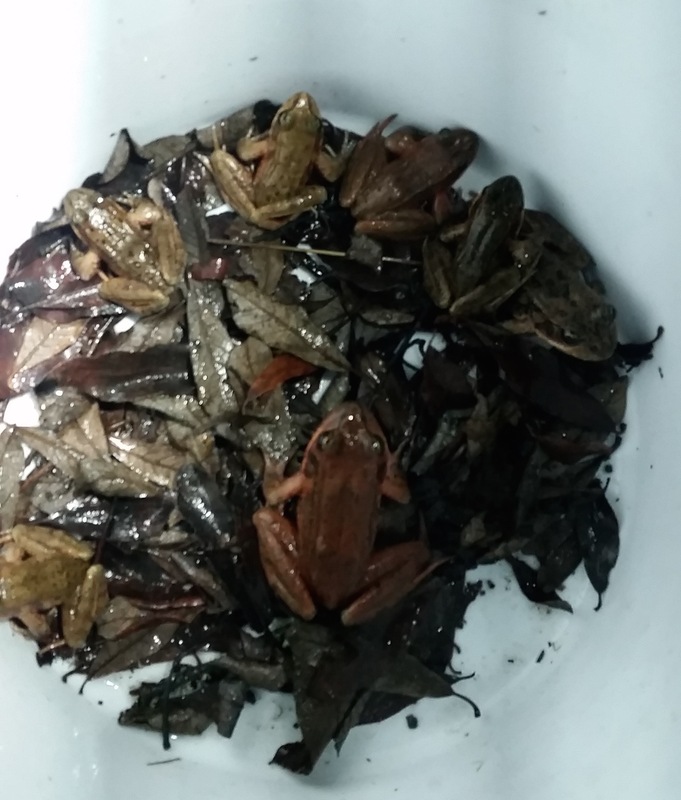 At the end of the night 48 red-legged frogs, along with hundreds of Chorus frogs, gained a new lease on life, avoiding vehicular calamity. 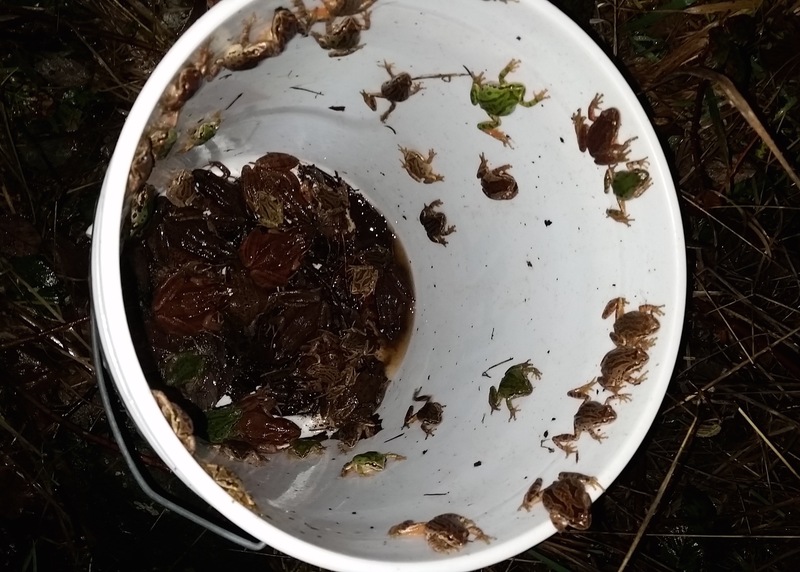 Having no understanding of the behind the scenes efforts involving the many volunteers, the frogs seemed content to accept their bucket ride and be chauffeured across the highway to Marina Way and their wetlands drop off spot. We felt a sense of having made a difference in the lives of these frogs that night. Feeling a kinship in our rain-soaked sogginess, we headed home knowing we had done our part to rescue a few frogs who will in turn create more frogs that are bound to need saving in the future. 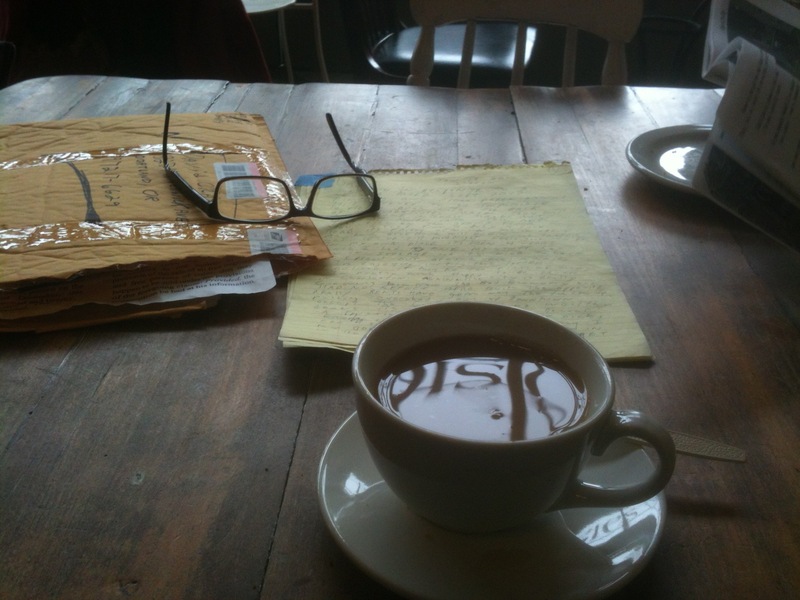 All photos, except where noted by Ronna Craig. Most of you are thinking, why is this guy writing about strip clubs and rock clubs? These are the types of places the guy has barely stepped a foot in since he moved to Portland eight years ago. That thought, if we were communicating telepathically, would have me stammering, hemming and hawing for several minutes. 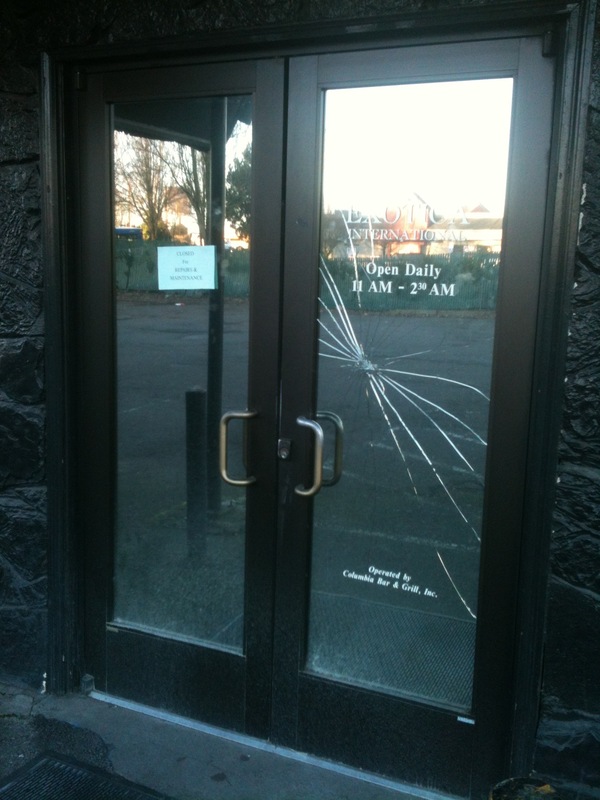 Given time to defend myself, I’d acknowledge the need to mourn the loss of our local cultural institutions. Then I’d offer up what little I may have experienced of these places in tribute. Use the old shoe store photo filter. What’s not to love about a place that may (or may not) have been named after a Velvet Underground song? I’ll live with many regrets, one being not having tried the pierogis they served there. We came close once on a walking tour of Lombard Street that ended at the bar, where all walking tours of this area should end. It wasn’t in the cards that night but I did have time to be critical about the decor. In hindsight I have to admit that the kind of rock club I want to go to should have a picture of Mick Jones and other assorted punk rockers on the wall in a stark black and white mural. It’s good to see Mick represent so how can I complain? Besides there was a nice high stage, skee ball and Arizona ice tea if you were in need of an alternative to alcohol. My best memory was standing outside the club waiting to meet up with someone and listening to a beautiful, god awful racket as the noise roared out of the club through the windows. A group of people spilled out of the door and seemed in parts bewildered, amazed and in good humor about the whole thing. I have no idea what it takes to keep a club going but I know it has to be a challenge. Even a cooking show make over of the bar menu couldn’t save the place. In an area that seems to have 10,000 bands performing on any given night it also seems impossible to compete for people’s entertainment dollars. I was hugely inspired when the Foggy Notion got an exterior paint job with what looked like a row of record albums and bright colors for the trim. They jazzed up the old shoe store they were headquartered in which makes the silence from the closure all the more deafening. 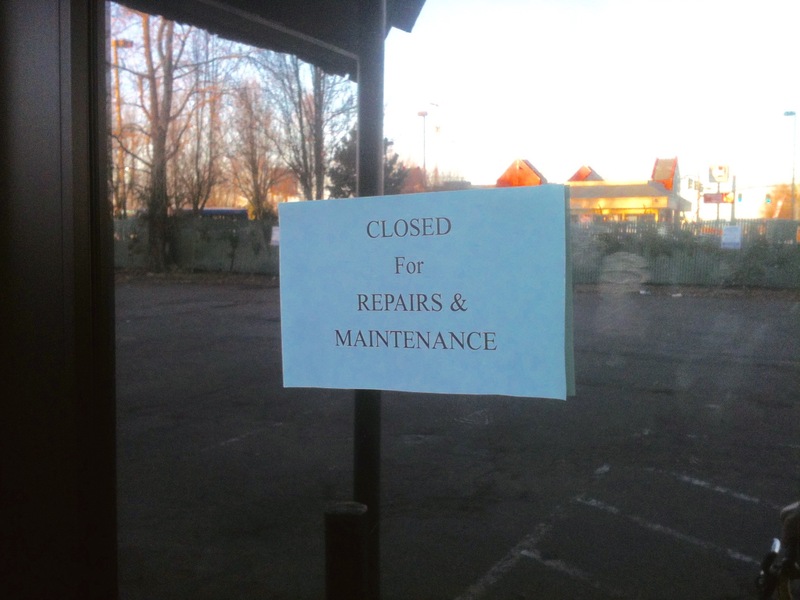 If Exotica International Club for Men could talk it would say, “rumors of my death are greatly exaggerated.” This is what I found out after riding my bike through the glassy sidewalks along Columbia Boulevard to arrive in the empty parking lot. It always looked like a classy place in passing. Then again how much class can a business retain when its nearest neighbor is a Jack in the Box restaurant? I was always attracted to the exterior decor. The dark stone mixes well with the odd shade of blue. I was struck by the attempt at what I’d call tiki-exotic. I was never inspired enough to succumb to the temptations inside that would have led to an inspection of the interior design. Upon further review while visiting the site, I spied a note that stated that Exotica was closed due to repairs and maintenance. 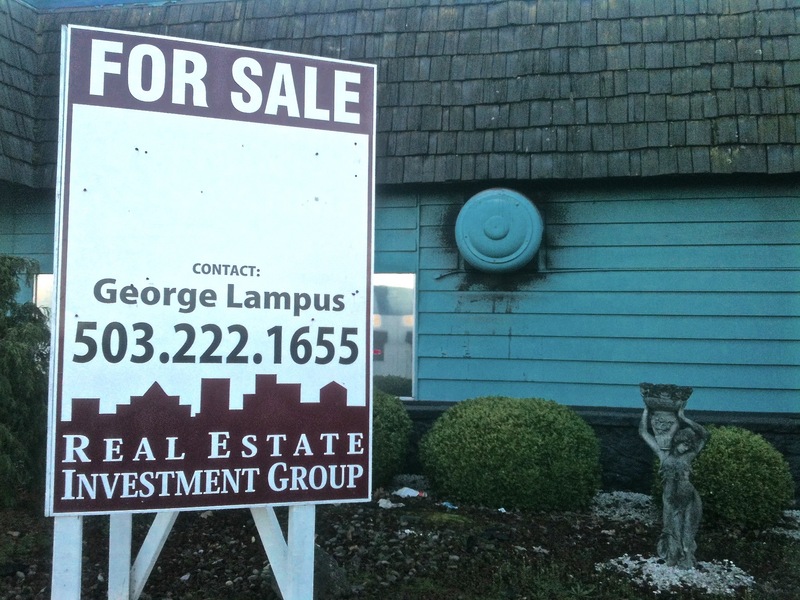 It seemed a safe bet to conclude that an empty lot and a for sale sign meant it was shut down for good. 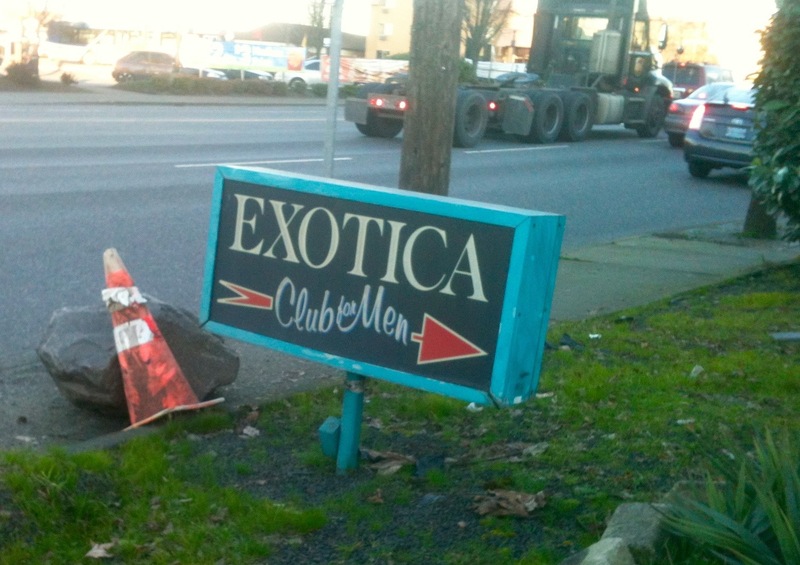 It all feels better to be able to report that a repaired and refurbished Exotica International Club for Men will return some day. Now I can say I come to praise Exotica not to bury it. I used to look over at the club every time I was on my way to pick up take-out. I knew little about what went on there besides an old coworker telling me that some of the Blazers from long ago, well, after 1999, would hang-out there. The truth to that rumor (or fact?) could not be confirmed at press time. If there’s anything that distinguishes this place from other strip clubs it may be the name and other details on the sign. 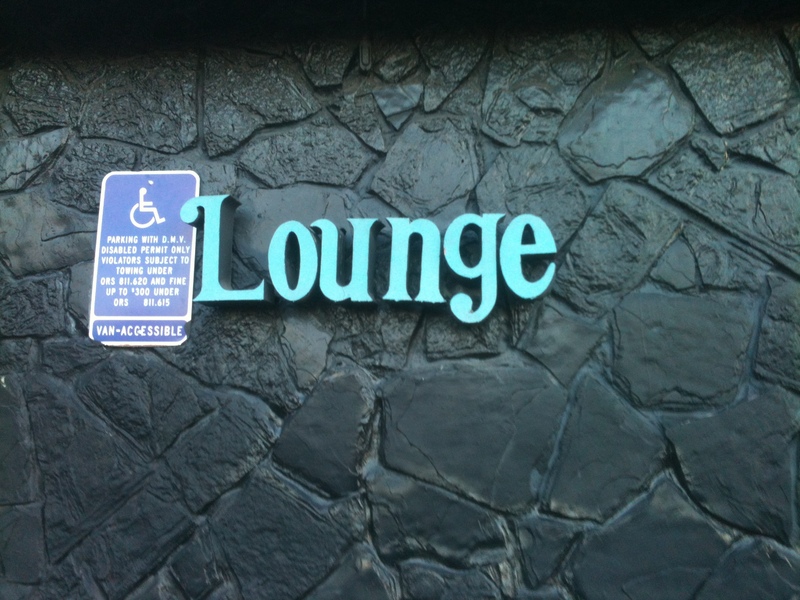 I’ve always had in my head that it seemed upscale, as far as strip clubs go and the loopy font of the basic Lounge sign add to its charm. 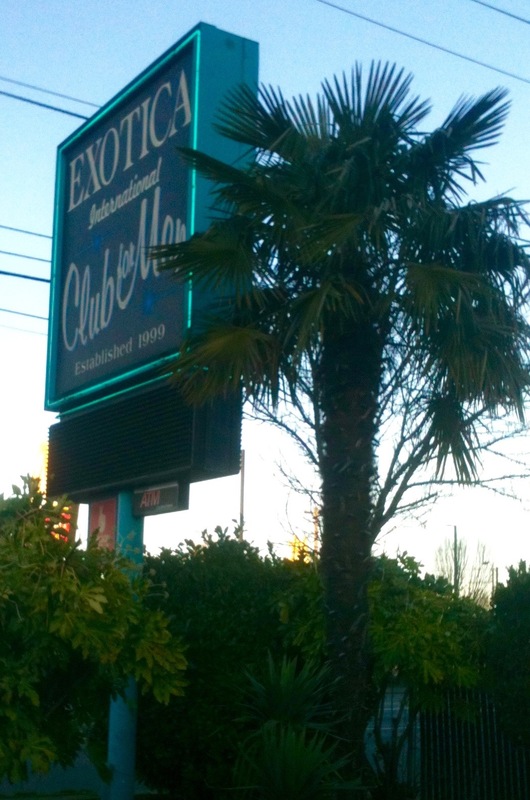 It hardly matters at all now that I’m finding that I’m merely mourning the end of an era: Exotica International Club for Men 1999 to 2015. No word on when it’s coming back, but it sure seems likely to spring back to life. Men are waiting.